Short Mountain Coffee is now available by the cup at the Steaming Cup, the new coffee house adjacent to the Laundry on West Main Street in Woodbury. Short Mountain Coffee was started 3 years ago by Neal Appelbaum who is the VP of the Stones River Watershed Association. The goal of SMC is to provide a high quality coffee to our communtiy - with living wage prices paid to the coffee farmers and with organic growing practices that support the environment. 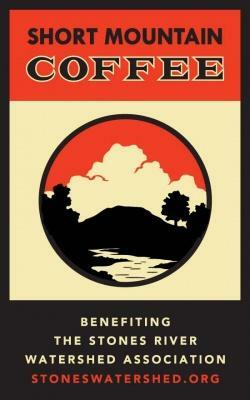 Profits from the sale of the coffee go to the Stones River Watershed Association, www.stoneswatershed.org. Those profits are earmarked exclusively for the development of the Greenway in Cannon County. Short Mountain Coffee is roasted in Nashville by Bongo Java roasting company, a privately owned small batch roasting company. I wish The Steaming Cup would post a menu!